Panorama view of the Morningside Heights campus as seen from Butler Library and facing Low Memorial Library. 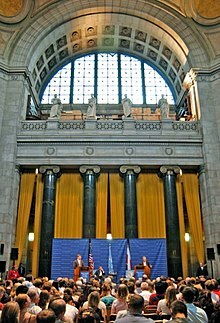 Access to Columbia is enhanced by the Columbia University subway station. ↑ Wienerbronner, Danielle (November 9, 2010). 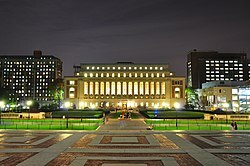 "Most Beautiful College Libraries". Huffington Post. สืบค้นเมื่อ November 22, 2011. ↑ Foreign Policy, March/April 2007, pp.62-68. หน้านี้แก้ไขล่าสุดเมื่อวันที่ 13 มิถุนายน 2561 เวลา 00:10 น.